Tractor Trailer Accidents & Injuries | Brunswick Georgia Personal Injury Lawyers – The Dow Firm, P.C. Wrecks involving tractor-trailers (also referred to as “semis,” “18-wheelers,” “log trucks” or “big rigs”) create very complicated legal matters for crash victims. First, the injuries are almost always serious, if not fatal. Second, reconstructing the facts which gave rise to the wreck (including such things as a truck driver’s contributory conduct and the trucking company’s general involvement) require a particular and knowledgeable investigation. 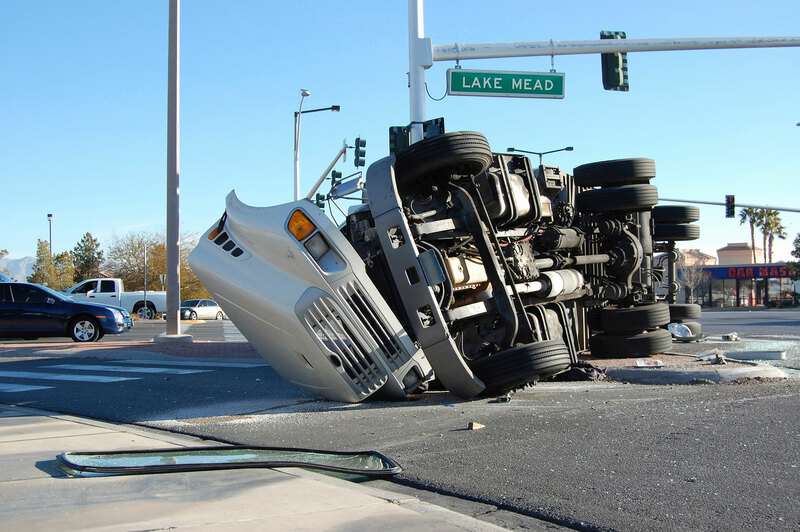 A tractor-trailer crash generates a variety of tasks that must be quickly and thoroughly addressed by an injured party’s legal counsel to ensure material evidence is preserved and the injured party’s rights are not compromised. Due to the complex nature of interstate and intrastate commerce, Georgia-based tractor-trailer personal injury/wrongful death claims necessarily involve a web of interconnected state and federal regulatory, statutory and case-based laws. Among others, the Federal Motor Safety Carrier Administration (FMCSA), the Georgia Department of Public Safety, the Georgia Department of Driver Services and the Georgia Department of Revenue can serve as repositories for a wealth of information about a driver, a tractor-trailer and a carrier. As such, it is essential that the law firm handling a tractor-trailer claim be familiar with the applicable laws and the pertinent facts specific to the case to be sure all the necessary facts are revealed. In the prosecution of an 18-wheeler case, there are a variety of sources where evidence can and must be found to include the driver’s truck itself, the roadway where the wreck occurred, government regulatory agencies, local investigating agencies, trucking companies, freight companies and insurance companies to name a few. From these sources, an investigation can yield information concerning a driver’s qualifications, hours of operation and fatigue, intoxication, health and general driving history. Likewise, information about the driver’s vehicle and trucking company can be recovered (to include the truck’s conspicuity, equipment – defective or improper, loading, weight distribution, signage, repair history, inspection history, freight and trailer). The Dow Firm, P.C. has proven experience in the area of tractor-trailer litigation and knows how, where and when to get the evidence necessary to prove such a case. The Dow Firm, P.C. is proud to offer services and represent clients with truck accident claims in Glynn County (Brunswick, Country Club Estate, Dock Junction, Everitt, Jekyll Island, Sea Island, Sterling, St. Simons Island and Thalman), Brantley County (Atkinson, Hickox, Hoboken, Hortense, Lulaton, Nahunta, Trudie and Waynesville), Camden County (Colesburg, Dover Bluff, Harrietts Bluff, Kings Bay Base, Kingsland, St. Marys, Tarboro, Waverly, White Oak and Woodbine), Wayne County (Jesup, Odum and Screven), McIntosh County (Cox, Crescent, Darien, Eulonia, Pine Harbour, Ridgeville, Shellman Bluff, South Newport, Townsend and Valona), Pierce County (Blackshear, Bristol, Mershon, Offerman and Patterson), Chatham County (Bloomingdale, Garden City, Georgetown, Isle of Hope-Dutch Island, Montgomery, Port Wentworth, Pooler, Savannah, Skidaway Island, Thunderbolt, Tybee Island, Whitmarsh Island, Wilmington Island and Vernonburg) and counties throughout the state of Georgia. The Dow Firm, P.C. is located in Brunswick, GA, however, our firm is able to manage tractor trailer accidents, crashes and all other types of personal injury cases anywhere in Georgia.